Erika Contreras currently serves as an estimating engineer and recruiting coordinator at The Lathrop Company. She also is a 2017 Midwest Management Systems Effective Personal Productivity graduate, 2016 Toledo Regional Chamber of Commerce Leadership Academy graduate, and a LEED Green Associate accredited professional. While attending the University of Toledo (UT) to earn a bachelor’s degree in civil engineering, she earned the UT Non-traditional Student of the Year award in 2015 and received a number of scholarships over the course of her academic career. 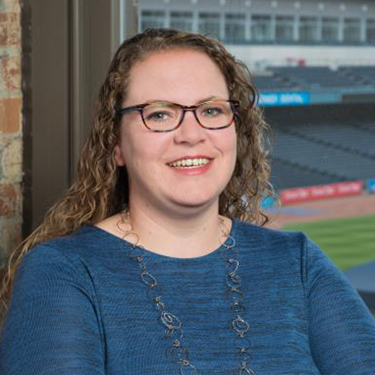 Since then, Contreras has served the community by being a member of the Lucas County Sustainability Commission, EPIC Toledo, USGBC, and Building Ohio’s Sustainable Energy Future (BOSEF). She has also been a BOSEF Education Group Leader, a Purple Hard Hat mentor, The Lathrop Company organizer / representative for UT Earth Fest, a member of the UT Society of Environmental Education, and a member of the Leadership Lathrop Class 8 committee, and a number of other community leadership roles.